Ladbrokes is taking a stand against Real Madrid in its Spanish Primera Division home match versus Levante by offering attractive odds of 1.90 about the Meringues whipping their opponents without conceding a goal. Backing Real Madrid to beat Levante to nil is the best bet on this weekend’s Spanish Primera Division program. One can understand why Ladbrokes has decided to take a chance. The reverse Spanish Primera Division fixture ended 3-2 in favour of Real and the Meringues were indebted to not one but two stoppage-time goals. Furthermore, only Real has accrued more Spanish Primera Division points than Levante over the last six rounds. But there are statistics that suggest that Ladbrokes may be being too aggressive in its approach. The key statistic is that Levante’s Spanish Primera Division games have the league’s lowest average goals count. Levante has featured in a division-high five goalless matches, 16 of its 26 games have gone under two and a half goals and its tally of 26 goals is the lowest out of the top 11 teams. 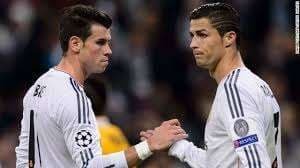 Playing Real Madrid at the Santiago Bernabeu is a different kettle of fish to playing the Meringues anywhere else and Levante, which is averaging one goal per Spanish Primera Division match, is likely to spend most of the game in its defensive third trying hard to keep tabs on Gareth Bale, Cristiano Ronaldo and Real’s other attacking weapons. It has taken a few months but Carlo Ancelotti has got to grips with Real Madrid’s structure and it is telling that, having kept only one Spanish Primera Division clean sheet in its first seven home matches under its Italian coach, the Meringues have won four of their last five home games without conceding a goal. Include all competitions and Real’s recent win-to-nil home record is eight out of nine. Thirteenth-placed Osasuna is attractively listed at odds of 2.38 with Boylesports to complete the Spanish Primera Division double over travel-sick 16th-placed Malaga. Osasuna beat Malaga in round eight of the Spanish Primera Division thanks to Oriol Riera’s 23rd-minute goal. Osasuna was good value for its Spanish Primera Division win, having twice as many shots on target as Malaga. And Osasuna should be bullish about its chance of doing the Spanish Primera Division double over Malaga given that its Monday opponent owns the third-worst Spanish Primera Division away record. Malaga’s Spanish Primera Division road numbers are one win, six draws and six losses from 13 matches, with its victory coming against an Elche side that had to play with 10 men from the 60th minute onwards. One must acknowledge that Malaga drew 1-1 at Osasuna in a Spanish Copa del Rey game in December but there was no pressure on Osasuna to win the match because it had drawn the first leg 3-3 and, therefore, it held a huge advantage courtesy of the away-goals rule. One had expected bookmakers to quote odds of around 2.10 about Osasuna overcoming Malaga at home in the Spanish Primera Division so there is value at odds of 2.38. Finally, the Spanish Primera Division game between Espanyol and Elche has under two and a half goals written all over it so snap up the odds of 1.67 with many bookmakers, including Ladbrokes and Stan James. Both Espanyol and Elche are in the bottom five when it comes to goals in their Spanish Primera Division matches, with Espanyol’s games averaging 2.35 goals and Elche’s matches averaging 2.31 goals.